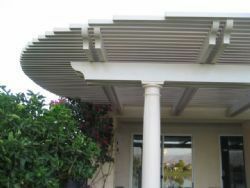 Alumawood patio covers, Concrete, Mist systems, and more in Coachella Valley area. Precision Patios Alumawood has become an expert in its industry and a solidified company in Indio,Ca. Over the years we have accumulated numerous testimonials from satisfied clients and have completed many successful projects. Moreover, Precision Patios Alumawood has built an impressive portfolio containing past experiences pertaining to outdoor construction. This allows us to show potential clients our vast and versatile capabilities as a company. We prefer for our work to speak for itself. Precision Patios Alumawood is intent on providing our clients with the highest quality and most beneficial results. Whether you are interested in an Alumawood Patio Cover or other outdoor construction, we offer valuable options. As we conduct business we strive to bring the community a reliable source for Alumawood construcion. Please feel comfortable to contact us with any questions or comments. 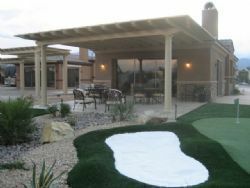 We understand there are a number of options regarding patio construction in the Indio,Ca area, which is why we try to provide as much information as possible. At Precision Patios Alumawood we want our clients to feel comfortable choosing us as their company in coachella. Which is why keep our clients in the loop at all times. At Precision Patios Alumawood we work as a team with our clients while remaining focused and professional. If you are seeking assistance with patio cover from a company in the Indio,Ca area, we provide top of the line service at very competitive prices. At Precision Patios Alumawood our main goal is customer satisfaction.